This program is pre-approved by the Commission for Case Manager Certification (CCMC) to provide continuing education credit to Certified Case Managers (CCMs). CCRNs: This course is eligible for new synergy model Category B. Religion can provide a framework for an individual's response to a health challenge or transition. A patient's religious beliefs, or those of his family, may influence health care decisions and provide a means for coping. 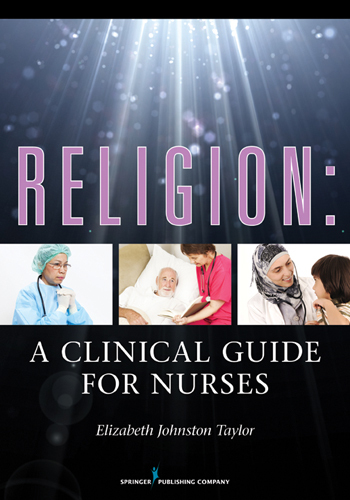 This book provides information about various religions, offering nurses insight into their patients' religious beliefs and practices and thereby enhancing therapeutic care. The focal point of this book is the collection of 22 contributions from religionists who are not only experts about a faith tradition but also adherents of it. This information includes a religion's history and theology; views on health and suffering; explanation for disease; beliefs and practices related to birthing, childrearing, and dying; healing rituals; corporate religious resources for the sick; and more. Prefacing this information are chapters discussing clinical and respectful communication about religion with patients, assessing a patient's religious beliefs, supporting bedside rituals that are part of a patient's religion, and understanding ethical and legal considerations. Religion at the Bedside: Why?